For as low as 0% APR or 6.99% APR*^. Clear, transparent terms. Fair rates. No prepayment penalties. Bread, so you can pay for your purchase over time. Pay over 12, 24 or 36 months at competitive interest rates as low as 0% APR*^. Decision in seconds with no obligation to buy. Checking your rate won’t affect credit score. Check your rate in second without leaving our site. Check Bread’s FAQ or reach Bread directly at support@getbread.com or (844) 992-7323 ext. 1. *Subject to credit approval. The term is for a loan to finance a purchase. For general customers, rates range from 6.99% to 29.99% APR. For Thermomix Consultants, rates range from 0% to 29.99% APR. This results in, for example, 12 equal monthly payments of $83.33 at 0% APR (for Thermomix Consultants only), or 36 equal monthly payments of $31.33 to $42.45 at 7.99% to 29.99% APR, per $1,000 borrowed. 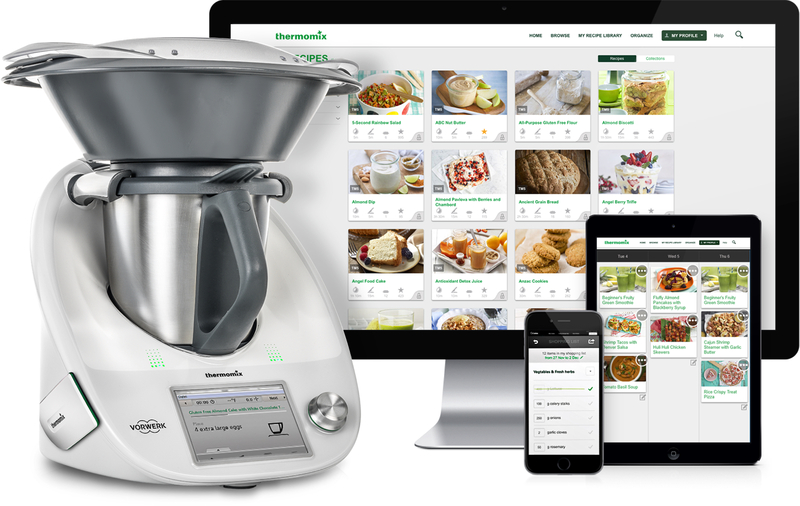 ^0% APR financing only available to Thermomix Consultants. All other customers, 6.99% to 29.99% APR available.